Buffering screens, video games refusing to load, and an important document that just won’t send: slow internet speeds can be hugely frustrating and time-consuming. But there are various ways to get faster broadband speeds, no matter where you live or what your set-up is. If you want fast streaming and uploading, it pays to make sure you are on the best broadband connection possible for your home or, at least, the fastest connection you can afford. Fibre, which uses fibre optic cable to transfer large amounts of data at ultra-fast speeds, is the fastest and most reliable connection on offer in New Zealand. With most fibre broadband providers, you can choose which speed you want – the most expensive plans allow super-fast connections for multiple users, but even the cheapest fibre plans still offer good speeds for the average household. However, while building of the ultra-fast network is happening across the nation, fibre is still not available in all homes. 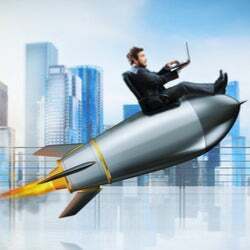 If you cannot get fibre, a VDSL connection or 4G wireless connection will offer you much faster speeds than an standard ADSL connection. With VDSL and 4G wireless, you can still stream movies but it will take a long time if you want to download a movie to watch later. If broadband connection speed is like the speed limit on a road, your modem is like the engine of your car: it doesn’t matter how fast the road can go if your car can’t keep up with the speed limit. 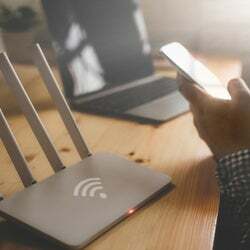 Most broadband providers will recommend, or provide, an appropriate modem for your connection. Age is a factor, so it is best to upgrade modems every few years. If you rent a modem from your provider, don’t be afraid to ask them to upgrade it. The best way to get faster broadband speeds is to connect your PC or laptop directly into your modem with an Ethernet cable, rather than using the Wi-Fi system. This is not going to be practical for everyone and every device and, to me, seems a bit of a step backwards when it comes to convenient, hand-held technology. However, if you are trying to upload a number of big documents or need better speeds to play online games, this is the way to go. If you are using Wi-Fi, make sure your modem is positioned close to where you use internet most. Limit the number of devices that are using the Wi-Fi, as this can also slow your connection. If you have a large home, investigate Wi-Fi extenders so you can get coverage in every room. Your devices and software need to be up-to-date to allow you to get the best broadband speeds. Again, age is a factor, and older smartphones, tablets or computers may have trouble processing high-speed broadband. Bad wiring in your home can slow down your broadband. According to Chorus, poor or aged wiring is one of the leading causes of broadband speed issues. If your wiring has not been updated for a number of years, it is likely the wiring and jack points were installed to deliver a phone service, rather than high-speed broadband. Filters can be added to your jack points to improve broadband speed. If your wires are very poor, you could consider a 4G wireless connection which does not use the phone cables. With fibre, a new connection is made between the network and your house, so there is no need to worry about old wiring. Wholesale broadband providers, such as Chorus, provide a broadband connection between your address and your broadband provider’s network. But the capacity and the reliability of the provider’s network can affect your speed and not all providers will promise to deliver the fastest fibre speeds. At Canstar Blue, network performance is one of the seven key factors that help us rank the best broadband providers. Which broadband plan you are on can also impact the speed of your browsing. Many plans come with data limits and, if your speed drops suddenly, you may have exceeded your data limit and need to top-up or change your plan. As mentioned above, if you are on fibre you can choose how fast you would like your plan. What are the best plans for fast broadband? 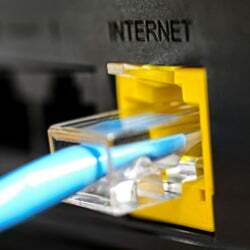 Here is a guide to the best internet plans from the providers with the most reliable networks. If you are unable to get fibre, Skinny also offers a VDSL Unlimited plan for $73 per month. Skinny customers can either sign up for 12 months, or pay $49 for a standard connection fee and $99 for a Skinny modem. These plans are all part of Spark’s unplan, where costs depend on how much data you use each month. They are for 12 months, including free standard installation and modem (you pay $14.95 postage and packaging). There is also the option of paying $10 extra a month for an entertainment package, which includes six months’ worth of Netflix and Lightbox Standard. 2 Degrees customers can either get free modem rental and standard connection on a 12-month plan, or pay $165 for a modem and a $99 connection fee on an open term. You can also save $10 a month if you have a 2 Degrees pay monthly plan. These plans are for 12 months or 24 months, and Slingshot provides free modem rental (you pay $14.95 p&p). Slingshot also offers $5 off broadband plans each month if you have a Slingshot Mobile plan, and a 10% discount if you add power. These plans are only available when you join Trustpower, with power, for 24 months. Trustpower provides a free modem (you pay $14.95 p&p), and further discounts if you also add gas.